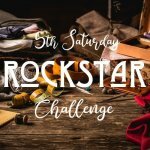 Show off your mad creative skills as you face off against others to create something spectacular using only of the supplies provided and the machines in the store within 6 hours. 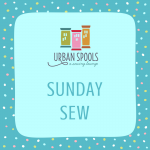 Urban Spools will provide all supplies, sewing machines, a theme of the month, and a panel of judges. The selected winner will receive a $150 store gift card. Are you new to machine embroidery? Are you looking for inspiration or want to share with others projects you've recently completed? 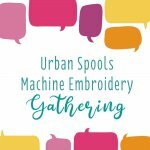 With so many new machines in the store, Urban Spools is looking to find inspiration from the community about what YOU want to learn and share with others! Join us for a fun afternoon as we discuss all the different options we're evaluating. 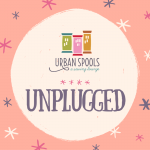 Then, let's visit while doing a simple in-the-hoop project together....with an Urban Spools twist, of course! Wine, food, and crafting! Join us for a relaxing evening as we create a simple project over fine wine and fine company. Everything is included in the price - all you have to do is show up, enjoy the hospitality and have fun creating a fun sewing project guided step-by-step by the instructor. Need some motivation to finish those UnFinished Objects (UFO) or simply time away from home to help you focus while surrounded by other sewists? 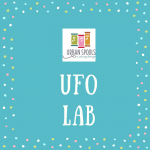 Then the UFO Lab is for you! Get ready to leave those sewing machines behind and bring your applique, english paper piecing, hand piecing, and hand embroidery projects to this session. Our Team will be on hand to help you complete those projects. With our love of all forms of hand stitching, we welcome you to come hang out, make new friends, and feel the joy of slow stitching.